AIBOC issued its circular No. 125 on 2nd option for pension to the officers who retired under VRS of the individual banks. We are reproducing the same here for our readers. We have addressed a letter to the Chairman, Indian Banks’ Association on the captioned issue, urging upon him to accord an option to those officers who retired under Voluntary Retirement Scheme of individual Banks to join the Pension Scheme now settled as per the Joint Note dated 27.04.2010. A copy of the letter is annexed to this and the same is self-explicit. We request the members to have patience. We draw your kind attention to the letter issued by IBA vide CIR/HR&IR/G-2/665/90/2010-11/999 dated 10.08.2010, Para 13, wherein, interalia, it is indicated that, “In terms of Memorandum of settlement dated 27th April, 2010, in the case of workmen employees and Joint Note dated 27th April, 2010, in case of officer employees, those who ceased to be service on account of retirement on superannuation, death or on account of VRS under special scheme prior to 27th April, 2010 but after 29th September, 1995 from Nationalised Banks and after 26th March, 1996 from Associated Banks of State Bank of India are eligible to opt for joining the Pension Scheme now as retired employees subject to terms and conditions stipulated. Those who were in the service of the Banks as on 27th April, 2010 will be eligible to join the Pension Scheme as serving employees subject to the terms and conditions”. We wish to inform you that the above statement totally negates the contents of the Joint Note on agreed conclusions reached on 27.04.2010 between Indian Banks’ Association on behalf of the Managements of Banks and All India Bank Officers’ Confederation (AIBOC). Nowhere in the original Joint Note dated 27.04.2010 it is mentioned that the Officers who ceased to be in service on account of retirement on superannuation, death or on account of VRS under special scheme; only are eligible to opt for joining the pension scheme now, as retired employees and the above position is in total contradiction of the agreed conclusions in the Joint Note dated 27.04.2010. Another Option for joining the existing Pension Scheme shall be extended to those officers who “were in the service of the Bank prior to 29th September, 1995 in case nationalised Banks/26th March, 1996 in case of Associate Banks of State Bank of India and retired after that date and prior to the date of this Joint Note”. “Pension/Family Pension to those who opt to join the Pension Scheme complying with the terms of this Joint Note shall be payable with effect from 27th November, 2009, provided that Officers who “retired” after that date shall get pension from the respective dates of their retirement. All the Regulations of the Bank Employees’ Pension Regulations 1995/1996 shall be applicable to those who opt for the Pension Scheme in terms of this Joint Note except to the extent mentioned in the foregoing clauses of this Joint Note”. As the Joint Note provisions are bound by the Bank Employees’ Pension Regulations 1995/1996, all the “retirees” who retired from the service of the Banks during the period 29.09.1995 and 27.04.2010 are eligible to opt for the Pension Scheme introduced now. It is pertinent to note here the provisions of the Bank Employees’ Pension Regulations 1995/1996, as to the definition of “Retirement”, eligibility criteria for opting for Pension etc. “Date of Retirement” means: “The last date of the month in which an employees attains the age of superannuation or the date on which he is retired by the Bank or the date on which the employee voluntarily retires or the date on which the officer is deemed to have retired”. Ø On attaining, the age of “Superannuation” specified in service Regulations or settlements. Ø On “Voluntary Retirement” in accordance with provisions contained in Regulation 29 of these Regulations. Ø On “Premature retirement” by the Bank before attaining the age of superannuation specified in Service Regulations or settlement. Provided further that this sub-regulation shall not apply to an employee who seeks retirement from service for being absorbed permanently in an autonomous body or a public sector undertaking or company or institution or body whether incorporated or not to which he is on deputation at the time of seeking voluntary retirement. Provided that this sub-regula¬tion shall not apply to an employee who is deemed to have retired in accordance with clause (I) of regulation 2. (ii) The notice of voluntary retirement given under sub-regulation (1) shall require acceptance by the appointing authority. Provided that where the appointing authority does not refuse to grant the permission for retirement before the expiry of the period specified in the said notice, the retirement shall become effective from the date of expiry of said period. (b) On receipt of a request under clause (a), the appointing authority may subject to the provisions of sub-regulation (2), consider such request for the curtailment of the period of notice of three months on merits – and if it is satisfied that the curtailment of the period of notice will not cause any administrative inconvenience, the appointing authority may relax the requirement of notice of three months on the condition that the employee shall not apply for commutation of a part of his pension before the expiry of the period of notice of three months. (iv) An employees, who has elected to retire under this regulation and has given necessary notice to that effect to the appointing authority, shall be precluded from withdrawing his notice except with the specific approval of such authority; provided that the request for such withdrawal shall be made before the intended date of his retirement. (v) The qualifying service of an employee retiring under this regulation shall be increased by a period not exceeding five years, subject to the condition that the total qualifying service rendered by such employee shall not in any case exceed thirty-three years and it does not take him beyond the date of superannuation. (vi) Pension of an employee retiring under this regulation shall be based on the average emoluments as defined under clause (d) of regulation 2 of these regulations and the increase not ex¬ceeding five years in his qualifying service shall not entitle him to any notional fixation of pay for the purpose of calculating his pension. “a. An Officer employees retiring voluntarily shall be entitled to all benefits available under the normal retirement in accordance with the provisions of Officers’ Service Regulations, including encashment of accumulated privilege leave as also all other terminal benefits”. Therefore, it is very clear that the Bank’s Voluntary Retirement Scheme is as per the Officers’ Service Regulations which are approved by the Central Government. Thus, it can be concluded that the VRS Scheme introduced by the Banks is the Government approved Scheme. From the above it is crystal clear that an officer having completed 20 years of service and who gives 3 months notice to retire from service and is permitted to retire under VRS, is entitled for pension option now. 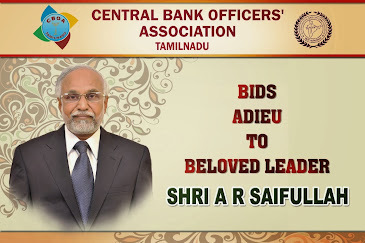 Ø Officers who have retired from the service of the Bank on attaining superannuation i.e., after attaining 58/60 years of age as per Service Regulations. Ø Officers who retired voluntarily in conformity with the provisions of Regulation 29 of Bank Employees’ Pension Regulations, 1995/1996 under the Voluntary Retirement Schemes of the Banks. Ø Officers who retired from the service of the Bank on account of voluntary Retirement under special scheme: 2000 after rendering a minimum service of 15 years. Ø Officers who were retired by the Bank on account of orders of the Bank to retire prematurely including employees who are compulsorily retired from service as a penalty on or after 29.09.1995 but before 27.04.2010.
and precluding the officers who voluntarily retired from the service of the Bank is a unilateral, arbitrary decision and therefore we request you to issue a corrigendum to your circular letter dated 10.08.2010 to the above effect immediately. We have been informed by some of our affiliates that you have offered clarification to the effect that the officers who have retired under normal Voluntary Retirement Scheme of the Bank are not eligible for pension, has come as a shocking surprise to us. Moreover, the provisions of the Bipartite settlement dated 29.10.1993 have not been amended/modified or superseded by the Joint Note and therefore your communication dated 10.08.2010 is ultra-vires the Bank Employees’ Pension Regulations 1995. We wish to reiterate that your communication is totally misleading, in abject contradiction of what is stated in the Joint Note dated 27.04.2010 and in contravention of the Bank Employees’ Pension Regulations 1995/1996. It is totally unjust and discriminatory and we once again request you to correct the position and issue a communication stating that the officers who have retired under Voluntary Retirement Schemes of the individual Banks, the Officers who are prematurely retired on account of imposition of punishment such as Compulsory Retirement etc., are also eligible to opt for Pension in conformity with the Joint Note dated 27.04.2010. We request you to arrange for a meeting with us to have a thorough discussion on this matter, which calls for your immediate attention. An early action in this regard is highly appreciated. Every year, August 15 is the day every Indian is proud of. Today, Its India’s 64th Independence day. Wishing one and all a very Happy Independence Day. The 2010 is India’s 64th Independence day and on this great day, everyone conveys best wishes and greetings to their family and friends. Long years ago, we made a tryst with destiny and now the time comes when we shall redeem our pledge... At the stroke of the midnight hour, when the world sleeps, India will awake to life and freedom. Indian Declaration of Independence, on eve of independence, August 15 1947. We end today a period of ill fortune and India discovers herself again. The achievement we celebrate today is but a step, an opening of opportunity, to the greater triumphs and achievements that await us. Are we brave enough and wise enough to grasp this opportunity and accept the challenge of the future? At the dawn of history India started on her unending quest, and trackless centuries are filled with her striving and the grandeur of her success and her failures. Through good and ill fortune alike she has never lost sight of that quest or forgotten the ideals which gave her strength. We owe a lot to the Indians, who taught us how to count, without which no worthwhile scientific discovery could have been made! If there is one place on the face of earth where all the dreams of living men have found a home from the very earliest days when man began the dream of existence, it is India! She (India) has left indelible imprints on one fourth of the human race in the course of a long succession of centuries. She has the right to reclaim ... her place amongst the great nations summarizing and symbolizing the spirit of humanity. From Persia to the Chinese sea, from the icy regions of Siberia to Islands of Java and Borneo, India has propagated her beliefs, her tales, and her civilization! India conquered and dominated China culturally for 20 centuries without ever having to send a single soldier across her border! This is indeed India! The land of dreams and romance, of fabulous wealth and fabulous poverty, of splendour and rags, of palaces and hovels, of famine and pestilence, of genii and giants and Aladdin lamps, of tigers and elephants, the cobra and the jungle, the country of hundred nations and a hundred tongues, of a thousand religions and two million gods, cradle of the human race, birthplace of human speech, mother of history, grandmother of legend, great-grandmother of traditions, whose yesterday's bear date with the modering antiquities for the rest of nations-the one sole country under the sun that is endowed with an imperishable interest for alien prince and alien peasant, for lettered and ignorant, wise and fool, rich and poor, bond and free, the one land that all men desire to see, and having seen once, by even a glimpse, would not give that glimpse for the shows of all the rest of the world combined. India - The land of Vedas, the remarkable works contain not only religious ideas for a perfect life, but also facts which science has proved true. Electricity, radium, electronics, airship, all were known to the seers who founded the Vedas. There are some parts of the world that, once visited, get into your heart and won't go. For me, India is such a place. When I first visited, I was stunned by the richness of the land, by its lush beauty and exotic architecture, by its ability to overload the senses with the pure, concentrated intensity of its colors, smells, tastes, and sounds... I had been seeing the world in black & white and, when brought face-to-face with India, experienced everything re-rendered in brilliant technicolor. India has two million gods, and worships them all. In religion all other countries are paupers; India is the only millionaire. Comrades, the long cherished demand of over 3,00,000 lac serving and 65,000 retirees for joining the Pension Scheme is now a reality. The settlement on 2nd option on Pension which was signed by the Confederation marks the golden moment in the history of our organisation. It was no doubt a Herculean task but a fruitful one in the ultimate analysis. We have already circulated a detailed Circular on the issue covering the salient features of the Scheme as well as the procedure to be followed to join the Pension Scheme as advised by the Indian Banks’ Association based on the agreements signed by the unions in the Banking Industry. The Confederation had earlier brought out a comprehensive booklet on the subject in order to bring clarity in the minds of all those officers who were awaiting the opportunity and were in confusion due to the mischievous propaganda of the disgruntled elements in some of the rival unions both in the Clerical as well as Officers’ organisations. We found that the publication was well appreciated and the people were following the developments on the day to day basis. 3. Comrades, we have a special responsibility in ensuring the extension of the 2nd option on Pension to 100% of the members who are eligible as well as those who have already retired and then only we will be fulfilling the dream of our colleagues in the real sense. There is no question of any laxity on part of any one as regards the campaigning and coverage of the scheme, since we have fought tooth and nail to ensure that the 2nd option becomes a reality to our members. 4. All our affiliates/members are requested to await further developments in the matter. Kudos to our members across the country for their patience and perseverance. They did not lose their cool and were at the beck and call of the Confederation for any action at short notice. The agreement which was signed by the Confederation in regard to the 2nd option on Pension was challenged by some mischievous elements in the rival unions thereby creating unnecessary hurdles in the implementation of the agreement on 2nd option on Pension. The 2nd option on Pension and the salary revision agreements were signed simultaneously. We had advised the members in detail as to the various aspects of the 2nd option on Pension and the various provisions of the agreement to provide them necessary guidance for taking a positive decision in this regard. 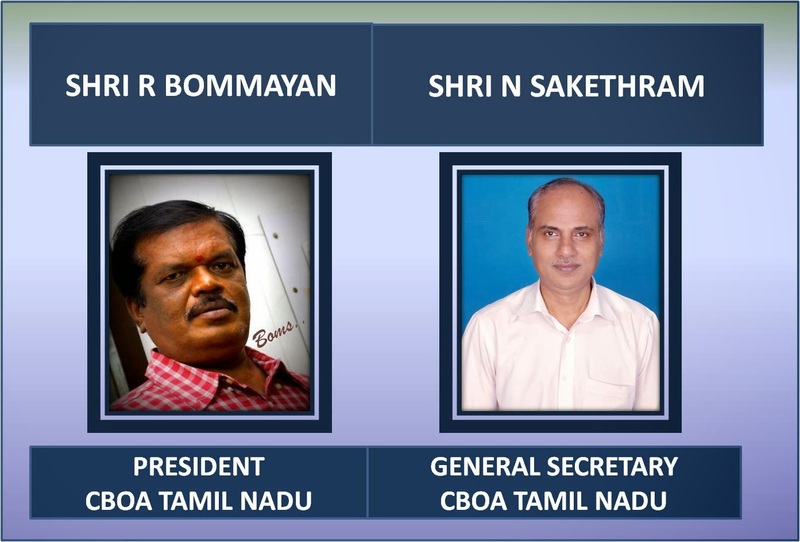 The salary revision was implemented whereas the details sent to the Government in regard to the 2nd option got struck due to the stay granted by the Madras High court on a writ petition filed by some of the disgruntled elements in the banks. We sought the immediate intervention of the IBA since people are getting upset about this unwanted delay and IBA could effectively intervene and get the stay vacated. “a. To facilitate early implementation, Government has consented IBA advising all banks that they may undertake the exercise for seeking the option from the employees both serving and retirees who did not opt for pension earlier, explaining the terms and condition for such option. b. Sanction of the Government is also accorded to implement the terms of Settlement/Joint Note dated 27th April 2010 between IBA and Unions/ Associations for the grant of option to the retirees and payment of pension to such retirees w.e.f 27th November 2009, who opt for pension and comply with terms and conditions set out in the Settlement/Joint Note for the grant of pension, pending necessary amendments in the Bank (Employees’) Pension Regulations, 1995.
c. The existing pension scheme will not be applicable to those, who join the services of banks on or after 1st April 2010. Officers/workmen employees, joining services of banks on or after 1st April 2010 shall be eligible for Defined Contributory Pension Scheme on the lines of New Pension Scheme introduced for employees of Central Government. The Officer/Workmen employees joining service on or after 1st April 2010 shall contribute 10% of Pay and DA towards the Defined Contributory Pension Scheme. d. Officer/Workmen employees, who opted for Voluntary Retirement under special Voluntary Scheme after rendering a minimum of 15 years, service, shall be eligible to exercise option to join the Pension Scheme subject to terms and conditions applicable to retirees. e. Pension/Family Pension will be payable to those, who opt to join pension scheme and comply with terms and conditions set out in the Settlement/Joint Note dated 27.4.2010.
f. The cost of another option of pension for the serving employees and the grant of option to the retirees assessed by the Actuaries, based on the estimates of each Bank, will be closely supervised by the Monitoring Committee. The Banks which exceed the cost than the Actuarial report would need to explain to the Government. g. The monitoring in this regard may be carried out every quarter at the Board level. i. The amount of Bank's contribution to Provident Fund with interest paid to him at the time of retirement. ii. 56% of the above amount representing his share in the funding gap. iii. The lumpsum amount he may get if he exercises his option to join the Pension Scheme and choose to commute the maximum permissible pension (1/3rd of Basic Pension) based on the commutation value on his next date of birth from the date of option. j. IBA is arranging to publish an advertisement in English in a National daily and other newspapers in Regional Languages advising the retirees to approach the banks in this regard. k. Banks may consider setting off the commutation amount of the optees against the amount due from him for joining the Pension Scheme. l. In terms of Memorandum of Settlement dated 27th April 2010, in the case of workmen employees and Joint Note dated 27th April 2010, in the case of Officer employees, those who ceased to be in service on account of retirement on superannuation, death or on account of VRS under special scheme prior to 27th April 2010 but after 29th September 1995 from Nationalised Banks and after 26th March 1996 from Associated Banks of State Bank of India are eligible to opt for joining the pension scheme now as retired employees subject to the terms and conditions stipulated, Those who were in the service of the Banks as on 27th April 2010 will be eligible to join the pension scheme as serving employees subject to the terms and conditions stipulated. ii. 56% of the above remitted by them towards their share of funding gap. iii. Bank contribution towards Provident Fund and interest accrued thereon transferred to the pension in respect of serving employees who opt to join the pension scheme now. iv. 2.8 times of revised pay for November 2007 contributed by serving employees who opted to join the pension scheme now. 3. Comrades, with this development the long pending demand of the Confederation gets resolved due to its persistent struggle and sacrifice of several members over the last several years. We thank all our members and affiliates as well leaders of the present as well past for their unflinching faith and commitment towards the cause and participation in all the struggles in ensuring the success of the demand raised on behalf of over 3,00,000 serving employees and officers and 65,000 retirees from the Banking Industry. 4. We request all our members and retirees who are eligible for the benefit of 2nd option to kindly take advantage of the scheme and see that they exercise the option within the time limit available so that they are able to get the full advantage of the Pension Scheme. One of the issues that came up for discussion in the Executive Committee of the Confederation held at Mumbai on 30th and 31st July 2010 was the need for revision in the current ceiling of Festival Advance. We have to-day sent our communication to IBA seeking revision in the ceiling of Festival Advance. A copy of our communication is enclosed. 2. All our affiliates/members are requested to await further developments in the matter. The Officers are eligible for Festival Advance once in a year as per their choice of Festival. The ceiling on Festival Advance is being prescribed by the Indian Banks’ Association at periodical intervals at the request of the Confederation. 2. We have been receiving a number of representations from the various parts of the country from the Officers’ fraternity, that the current ceiling will have to be revised and hence needs a review by the Indian Banks’ Association. The Executive Committee of the Confederation which met at Mumbai on 30th and 31st July, 2010 also had an occasion to deliberate on the issues that are to be sorted out between the IBA and the Confederation. The Committee was unanimous that the issue of enhancement of Festival Advance is one such issue requiring immediate solution from the IBA. We suggest to link the festival advance equal to two months Basic pay, repayable in 10 monthly installments. We therefore request you to kindly look into the matter and take necessary steps for the enhancement of the Festival Advance as suggested by us. 3. Please treat the matter as urgent. As a sequel to the revision of Pay scales under the 9th Bipartite settlement, the Family Pension and Minimum Pension payable have been revised and we reproduce herein the text of IBA Circular No.714 dated 02.07.2010 in this regard, which is self-explicit. 2. Affiliates / Members are requested to take note of the same. Please refer to our letters No.CIR/HR&IR/76/90/665/2010-11/269 dated 08.05.10 and No.CIR/HR&IR/G2/665/90/2010-11/626 dated 18.6.10 with regard to wage revision to Award Staff/Officers respectively in terms of Bipartite Settlement/Joint Note dated 27.4.10. Consequent upon the above wage revision, the pension, dearness relief, family pension, minimum pension, etc., payable in respect of those employees who ceased to be in service on or after 01.11.07 and are eligible for pension need to be revised. We give below for your guidance, the details in this regard. Pending amendments to Pension Regulations, Banks may effect the revision. The basic pension will be revised on the basis of the revised pay w.e.f. 01.11.07. The dearness relief shall be payable for every rise or be recoverable for every fall, as the case may be, of every 4 points over 2836 points in the monthly average of All India Consumer price index for Industrial Workers in the series 1960 = 100 at the rate 0.15 per cent of basic pension. Upto Rs.7,090/- 30 per cent of the ‘pay’ shall be the basic family pension plus 30 percent of allowances which are counted for making contributions to Provident Fund but not for dearness allowance shall be the additional family pension. The aggregate of basic and additional family pension shall not be less than Rs.1,779 per month. Rs.7,091 to Rs.14,180 20 per cent of the ‘pay’ shall be the basic family pension plus 20 per cent of allowances which are counted for making contributions to Provident Fund but not for dearness allowance shall be the additional family pension. The aggregate of basic and additional family pension shall not be less than Rs. 2,186 per month. Note: In the case of part-time employees, the minimum amount of family pension and the maximum amount of family pension shall be in proportion to the rate of scale wages drawn by the employee. In respect of employees other than part-time employees, who retired on or after 01.11.07, the amount of minimum pension shall be Rs. 1,779 p.m.
Rs. 1,339 p.m in respect of part time employees drawing 3/4 scale wages. Pending amendments to Bank Employees’ Pension Regulations, 1995, banks may compute pension as above. Before, however, giving effect to the revised pension, a suitable undertaking may be obtained from the pensioners as well as from family members/nominees, to enable the pension fund to make adjustments, if any, at a later date. We are enclosing a draft of the irrevocable letter to be obtained from the pensioners. Member banks may please be guided as above.